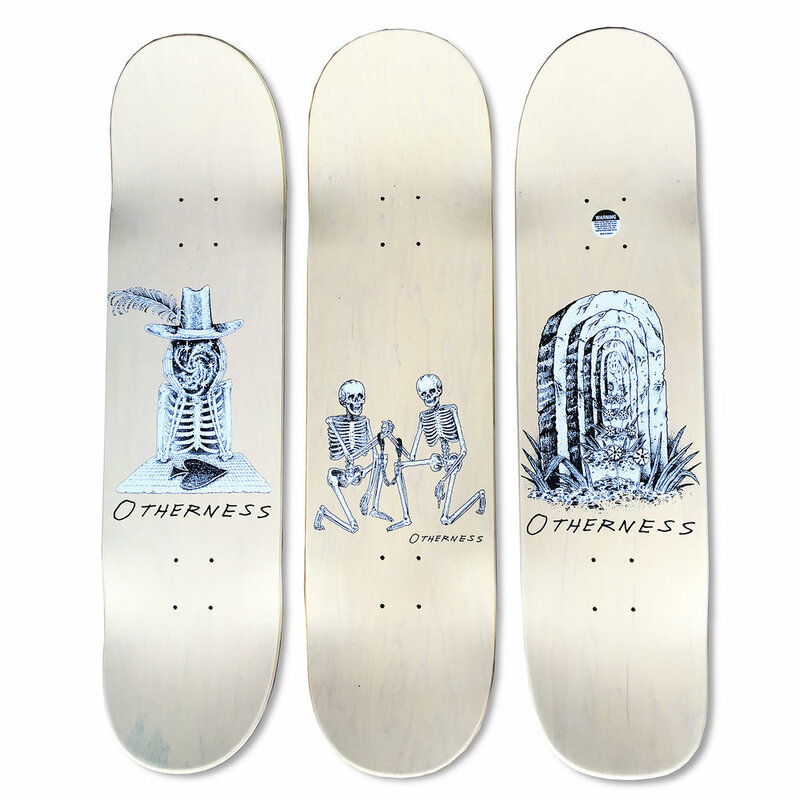 Just finished up a fun little project - I put together the graphics for Thom Hornung & Mat O’Brien's new board company called Otherness. Pro models include Marc Johnson, Barker Barrett, and Shannon May. Illustrations by Derek Snodgrass.